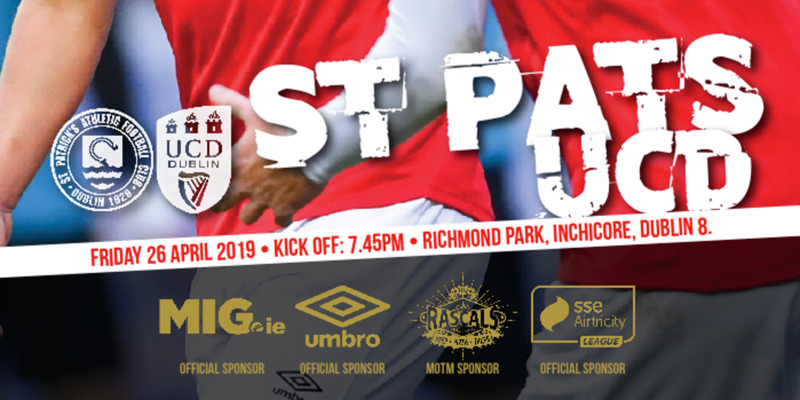 St Patrick's Athletic were convincingly beaten 3-0 by Hannover 96 in the first leg of the Europa League third round tie in Tallaght Stadium. Long-range strikes from Leon Andreasen in the sixth minute and Christian Pander on 68 put Hannover in command and Didier Ya Konan sealed a 3-0 win with 10 minutes left. Pat's missed chances to get back into the tie at the start of the second half, and next week's return leg is close to a formality. 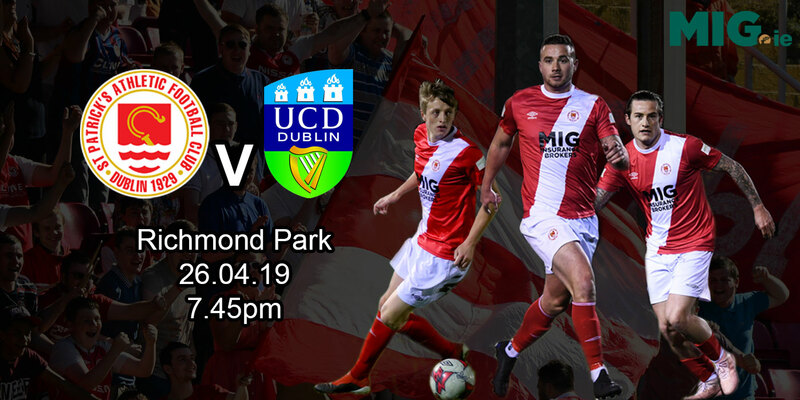 Home manager Liam Buckley picked an unchanged side from last week's dramatic second round win over Siroki Brijeg, with Christy Fagan the lone striker. Hannover were without new signing Trevizan Martins due to a groin injury for their first European outing of the year, having reached the quarter-final of the competition last season. The Saints had a disastrous start, going behind in the sixth minute through Andreasen's wonder strike as they sat off the midfielder and he blasted the ball into the top corner past Brendan Clarke in goal. The German side were quite comfortable in possession, and controlled proceedings as the half went after taking that early lead. Mirko Slomka's side had few problems but failed to create many opportunities of their own as a noisy and sizeable visiting support watched on in the East Stand. It took until the 29th minute for Pat's to create an opening. John Russell showed great determination and creativity to tee up Sean O'Connor outside the box, but the winger shot just wide. Ger O'Brien's sloppy pass allowed Konan a shooting opportunity but his scuffed effort was little trouble for Clarke in goal. Sergio Da Silva Pinto fired a shot over after more sloppy play from the Saints and as the first period came to a close, Pat's could take heart that they coped well with what the Bundesliga side had to offer. 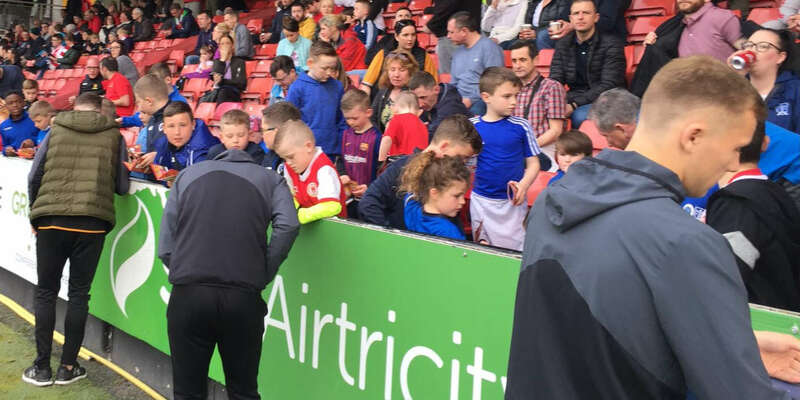 Russell, Christopher Forrester and Christy Fagan offered brief glimpses of what they could do, but the Saints needed to commit more to trying to make a breakthrough and in the early part second half they showed why their European record has been so good in recent times. Buckley's men started fantastically as firstly Christy Fagan was denied by a last-gasp block from a loose ball after Sean O'Connor's corner. James Chambers' rising strike from just inside the area on 57 minutes had Hannover goalkeeper Ron-Robert Zieler concerned, and, with Forrester now much more influential on the right, it gave the Airtricity Premier Division side hope of an equaliser. It was soon ended as Christian Pander's 30-yard free squeezed past the unsighted Clarke in the Pat's goal to kill the tie. Clarke made poor contact with the ball as it squeezed into the net to silence the home support. Fagan came agonisingly close to pulling a goal back on 73 minutes, as he pulled a shot just off-target with Zieler beaten in goal. Hannover netted a third when substitute Konstantin Rausch's deflected shot fell into the path of Konan to fire past Clarke in the 80th minute. Pat's introduced Anto Flood with seven minutes left but they could not find a goal to take into next week's second leg in what will be a near-impossible task in Hannover.